Kindergarten students at Thomson and Sargent have 8th grade pen pals at Chenery Middle School in Belmont. 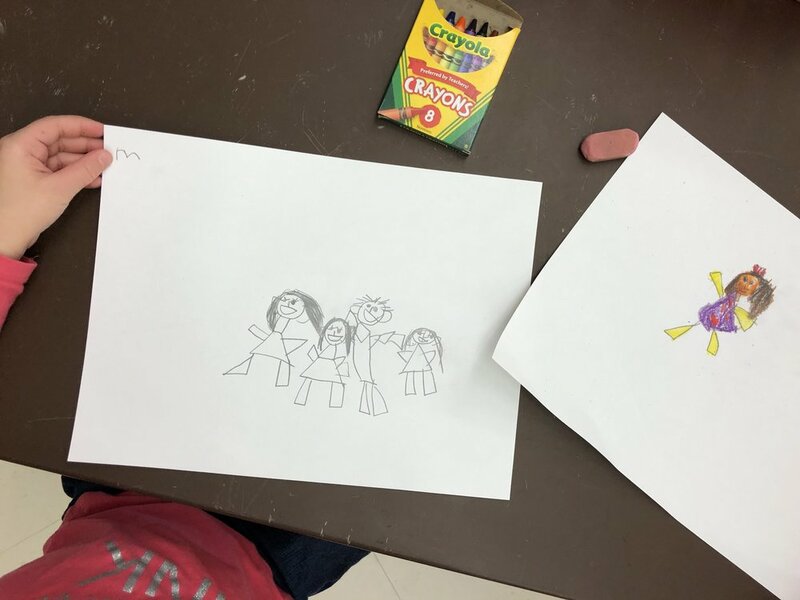 Each kindergarten student drew a self portrait and a family portrait using crayons for the 8th graders. The 8th graders are using those drawings as inspiration for their current mixed media collage and drawing project that they are working on. They are using the shapes, forms, and colors based on their pen-pals drawings. In return, each kindergarten student received a letter from their pen-pal. 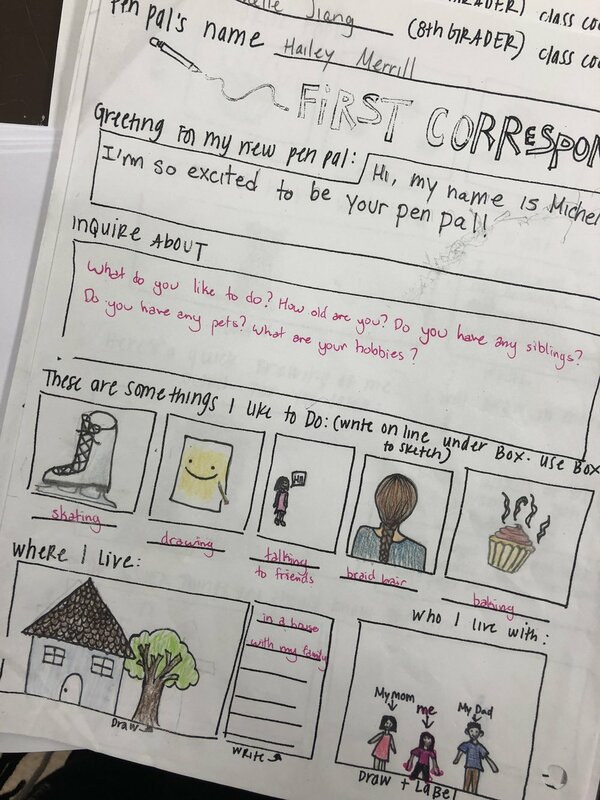 The 8th graders drew much of the correspondence so the kindergarten students can look at the pictures and hopefully get a sense of their pen-pal. Doodle 4 Google Contest: What Inspires Me? All of my 2nd through 5th graders at Thomson and Sargent are participating in this year's Doodle 4 Google contest. Their designs respond to the question: What inspires me? 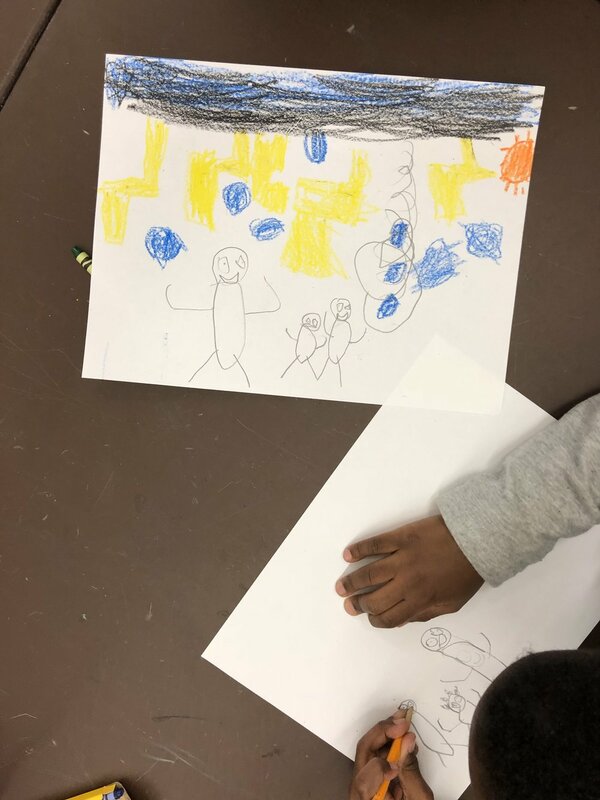 After reading Barb Rosenstock's "The Noisy Paint Box", students learned about Kandinsky and the process of making art while listening to music. We listened to a variety of classical, jazz, and contemporary music. 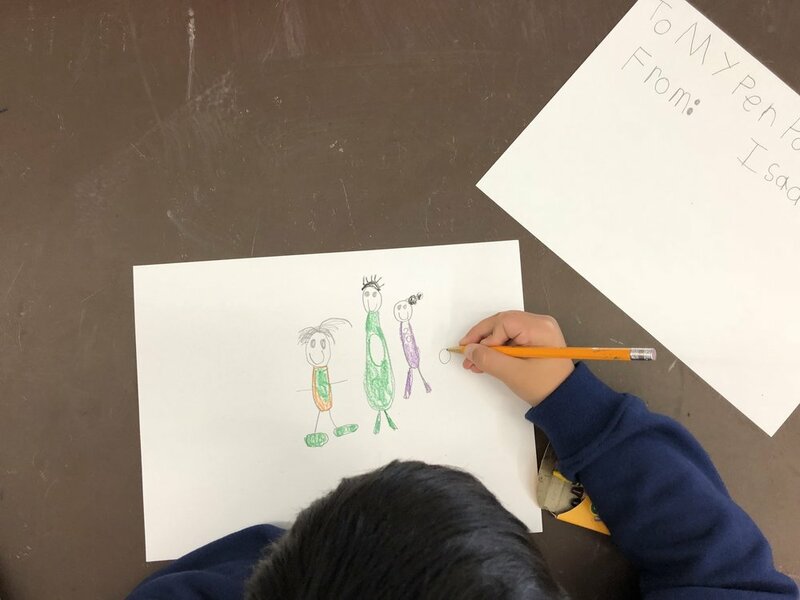 Grade 3 students reflected on their family traditions and printed a series of prints to form a book. 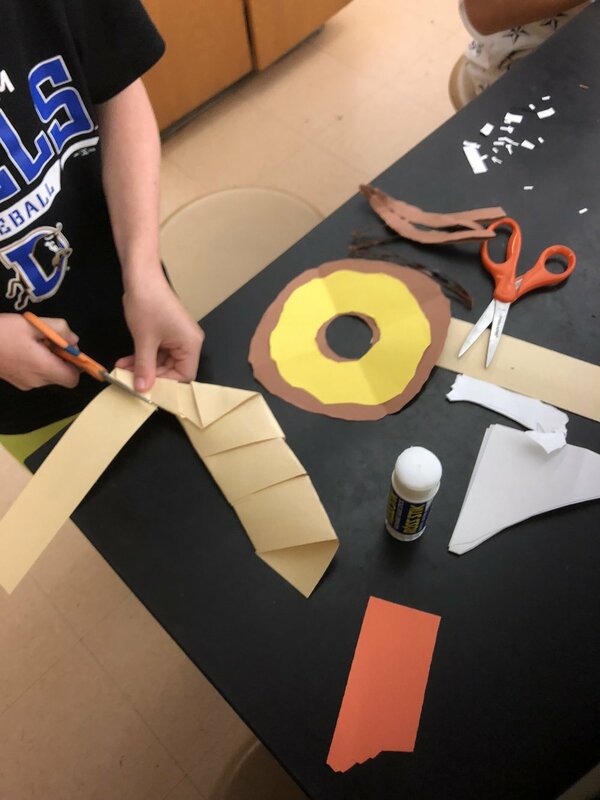 One of my favorite one day lessons: paper collage donuts! 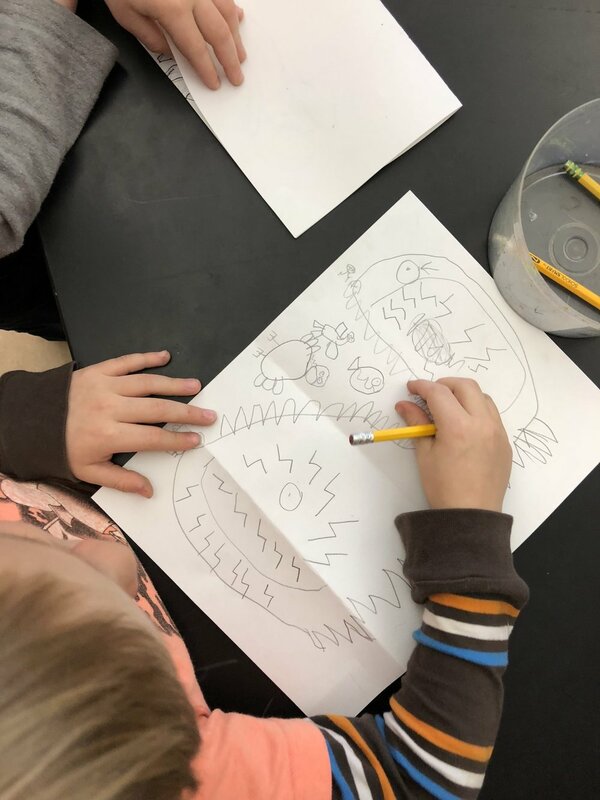 In lieu of any Thanksgiving themed lessons, we did observational drawings of fall items from the Nature Lab. Students drew pumpkins, leaves, gouards, and pine needles. All Thomson students read "Only One You" by Linda Kranz to begin the school year. 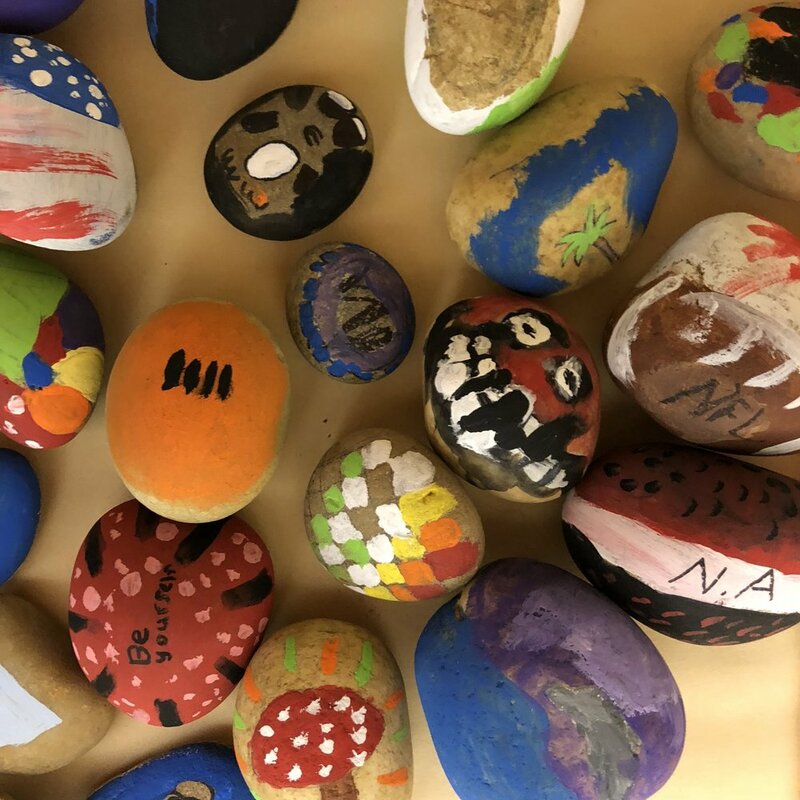 In art, each student designed and painted a rock to create a rock garden installation around the school. Check out Instagram and Twitter to stay up to date with all the latest happenings in our Art room! A great early finisher project! Every student at both Sargent and Thomson, Kindergarten through 5th grade, now has a sketchbook they will keep all year long. Check out my Toothpaste Batik lesson on KinderArt. KinderArt is a great resource for all art educators! I'm on Tufts' Art Education Alumni page... check it out here. My gallery installation at the Tufts Art Education Festival includes student work from my year of student teaching and is on display at Tufts' Mission Hill Building from April 24-28, 2017. The 2nd Avenue Subway recently opened in NYC (finally!) and the stations are filled with art by Chuck Close, Sarah Sze, Vik Muniz and Jean Shin. I had the chance to see some of Vik Muniz's work up close at the 72nd Ave station. You can check out Chuck Close at 86th St, Sarah Sze at 96th St, and Jean Shin at 63rd St.
Crochet Coral Reef which is currently at the Museum of Arts and Design is an ongoing project by sisters Margaret and Christine Wertheim and their Los Angeles–based organization, the Institute For Figuring. The project brings attention to the effects of climate change and plastic trash on marine life, particularly coral reefs. This project started in my Remade, Recycled, Reclaimed class at the School of the Museum of Fine Arts with Jesseca Ferguson. It explores a collection of collections, the contents found inside bags of all shapes and sizes -- handbags, tote bags, backpacks, messenger bags. The photographs are self-portraits. Each one is composed, arranged, and photographed by its "owner". When asked the question, reactions were mixed. Some opened their bags up right away, and others were hesitant -- "nothing interesting here" or "let me clean it out first". If you would like to be included in the collection, please contact me here or @acollectionofcollections.